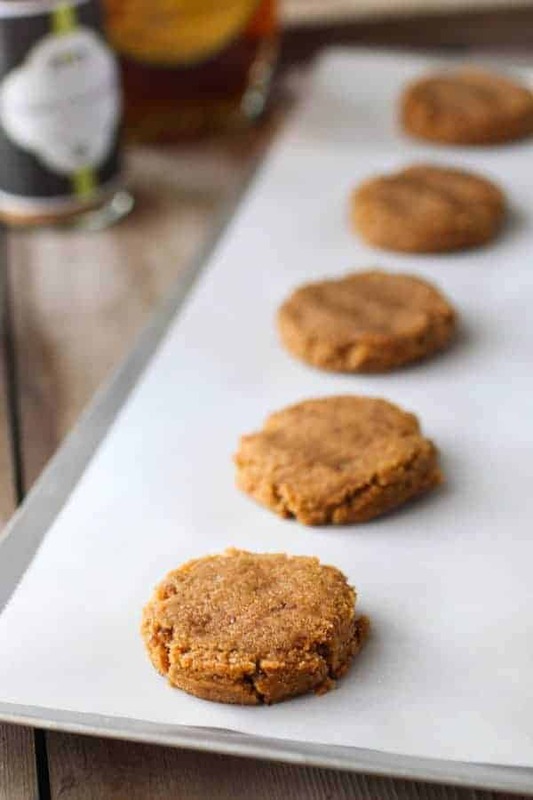 A divine, melt-in-your-mouth, grain-free and egg-free ginger molasses cookie. 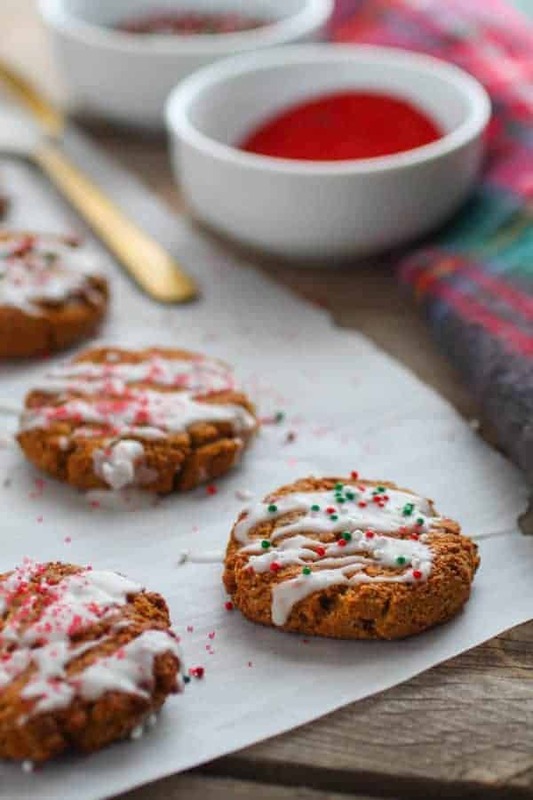 Add these Grain-free Soft Ginger Molasses Cookies to your Holiday baking party. This healthier cookie recipe is one I created a few years back when I first transitioned to a “real food” lifestyle. 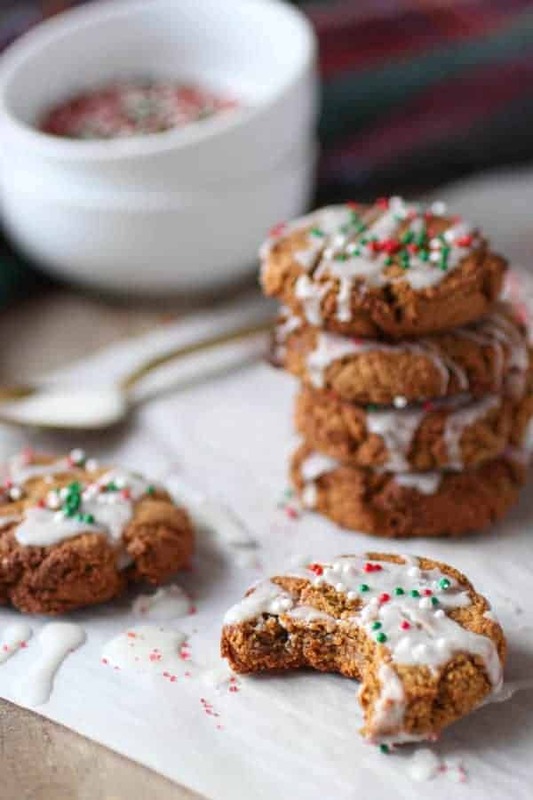 Ginger molasses cookies have always been a favorite of mine. They’re the cookie I tend to reach for even when there are a bajillion to choose from. You know, that table at Holiday gatherings that’s stacked to max with the best of the best and most delicious cookies & treats? Anything ginger and molasses has my name written all over it! Enjoy treats AND maintain good health and well-being during the Holidays! While I love traditional Holiday cookies & treats that only come around once a year, and surely I will be enjoying a few of the classics my grandmothers make – Kringla anyone?! It’s also important to me that I maintain my good health and well-being during the Holidays. I want to feel my absolute best so that I can be present and show-up for others. When I go overboard on sugar, I don’t feel well. I feel lethargic, puffy, foggy and bloated and nobody wants to feel that way during the Holidays! 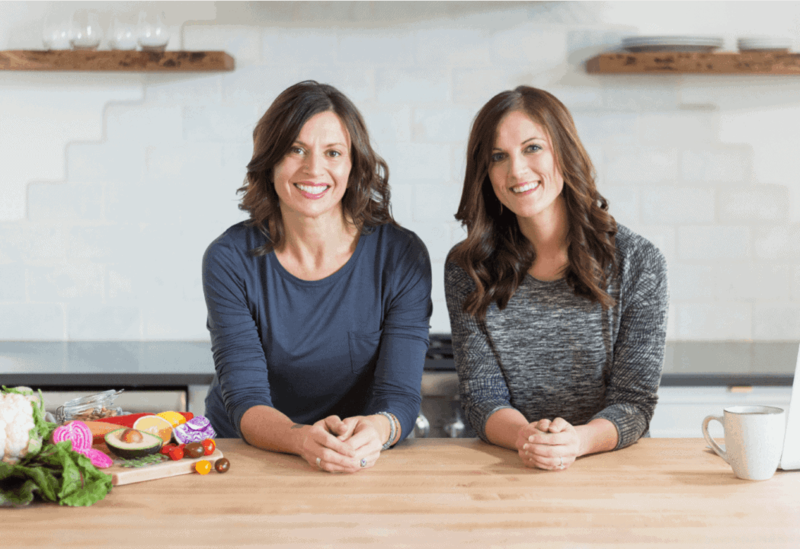 I enjoy creating healthier holiday treat recipes because I want you to feel your absolute best and avoid the feelings that are associated with over-indulging in sugary treats. Friends, you’re going to love that these Grain-free Soft Ginger Molasses Cookies contain only 7 gram of sugar per cookie. Best of all, you’ll never know that they are the ‘healthier’ version! 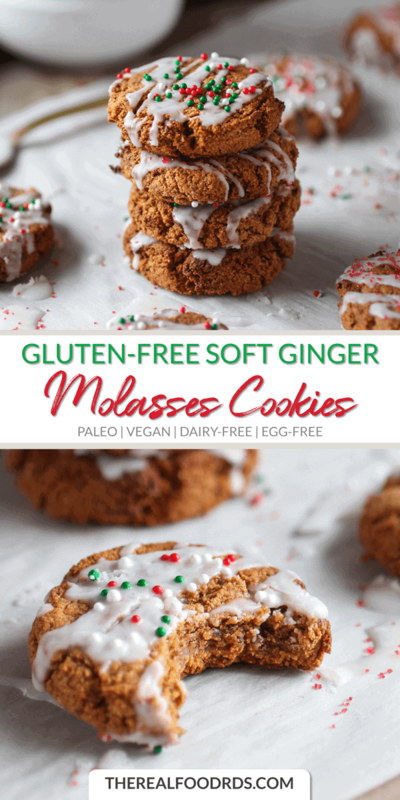 Grain-free Ginger Molasses Cookies are allergy-friendly too. They’re gluten-free, egg-free, dairy-free, vegan & paleo-friendly and out of this world delicious! You can’t beat the combination of molasses, maple syrup, cinnamon, and ginger all in one bite! Before baking, flatten the dough mounds to form the perfect cookie shape. 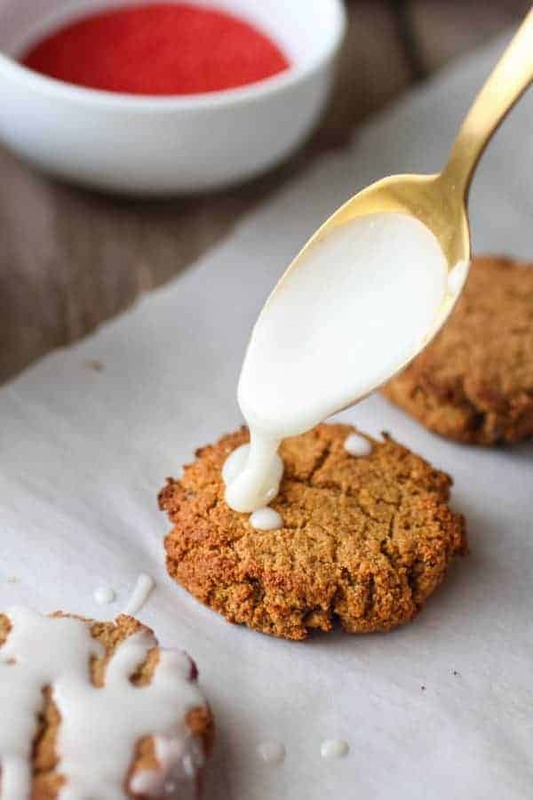 Skip the sugary frosting and reduce the sugar by simply drizzling the cookies with melted coconut butter. Coconut butter is the perfect alternative to sugary-frosting. It provides a hint of sweetness and doesn’t overpower the delicious flavor of the cookie. 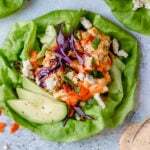 You can even mix in your favorite extracts or spices to add another dimension of subtle flavor. The coconut butter will not give the cookies a coconut flavor. Coconut butter can get pretty hard, even at room temperature and especially in the winter months. I recommend that you melt the coconut butter in a saucepan on medium heat or in the microwave in 20 second increments until it reaches a drizzly consistency. If the coconut butter is too hard to even scoop out of the jar and place in a bowl to heat, I typically just place the entire jar in the microwave. When microwaving, you want to be sure to watch it closely as coconut butter burns pretty easily. Get your coffee dunking game on. These Grain-free Soft Ginger Molasses Cookies are the best for dunking into coffee. Seriously, you gotta try this! 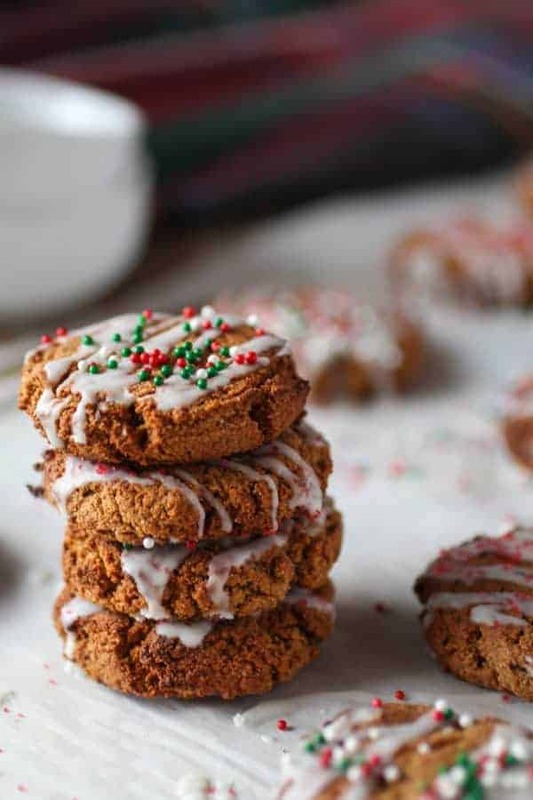 Share the love this Holiday season with our Grain-free Soft Ginger Molasses Cookies. The best part of baking treats is packaging them up and sharing with others! I also suggest sharing the love with our Brownie Batter Peppermint Truffles and Dark Chocolate Trail Mix Bites – two recipes that are also paleo and vegan-friendly! Tis’ the season for molasses ginger cookies! These cookies are a divine, melt-in-your-mouth, soft grain-free cookie. 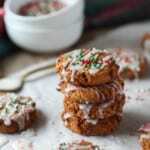 They’re drizzled with melted coconut butter and topped with holiday sprinkles. 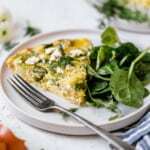 Make them vegan/egg-free by replacing the one egg with a flax egg. Preheat oven to 375℉. Line cookie sheet with parchment paper. Combine all of the cookie ingredients in a bowl and mix until just combined. With a cookie scoop, drop dough onto baking sheet. Flatten slightly with a spatula or your fingers to form into a round cookie. Take out of oven and let set on baking sheet for 5 minutes. 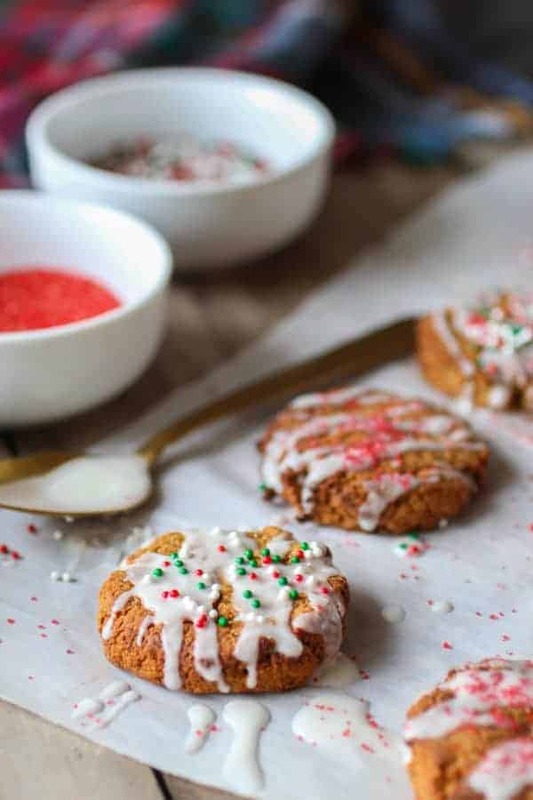 Melt coconut butter and drizzle over cookies. Tip: for a new jar of coconut butter, heat the entire jar in 30 second increments (or in a hot water bath on the stove) until able to stir. Stir well to combine all of the contents in the jar. 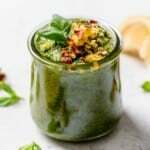 This is important as oil separation may have occurred so you want to be sure that it’s mixed well – just like natural nut butters Top with sprinkles if desired. 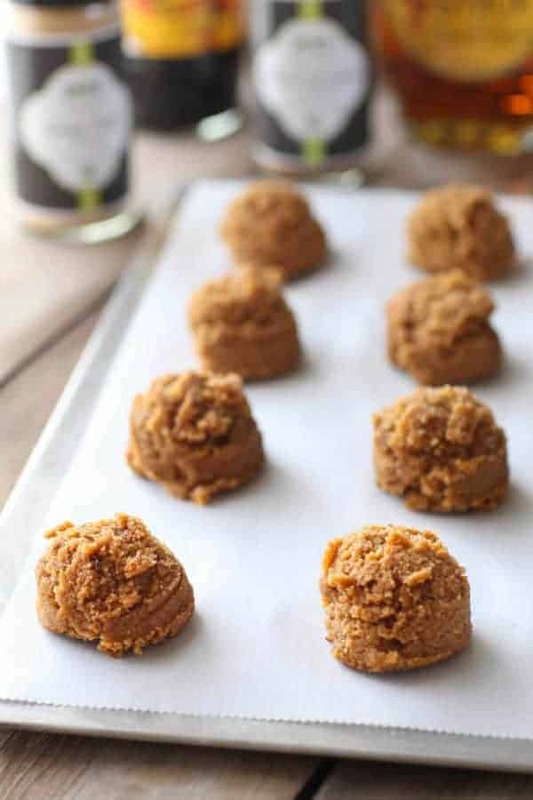 Remove cookies from pan and place on wire rack to cool and allow for coconut butter to harden. Store cookies in an airtight container in the fridge for up to 2 weeks or in the freezer for up to 3 months. **We recommend Pure Indian Foods Spices. Tell us, what’s your favorite holiday cookie? 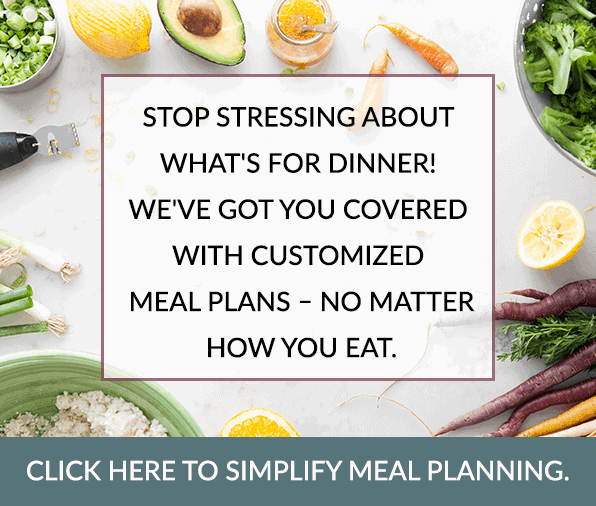 Hi, I have an allergy to almonds and often use ground sunflower seeds in place of the almonds in other recipes calling for ground almonds…. 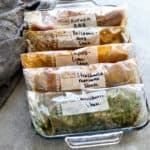 has anyone ever tried this substitute in this recipe??? thanks!!!! Hi Karen! great question. I have not made this recipe with any other variations of flours but if I were, I’d either try Bob Red Mills 1-to-1 Gluten-free flour (this flour is not grain-free) or Otto’s Cassava flour. I think both of these flours would make great substitutes for the almond flour. 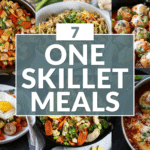 Let us know if you give this recipe a try with a different flour! Thanks, Jen! Glad you loved them! These look amazing! 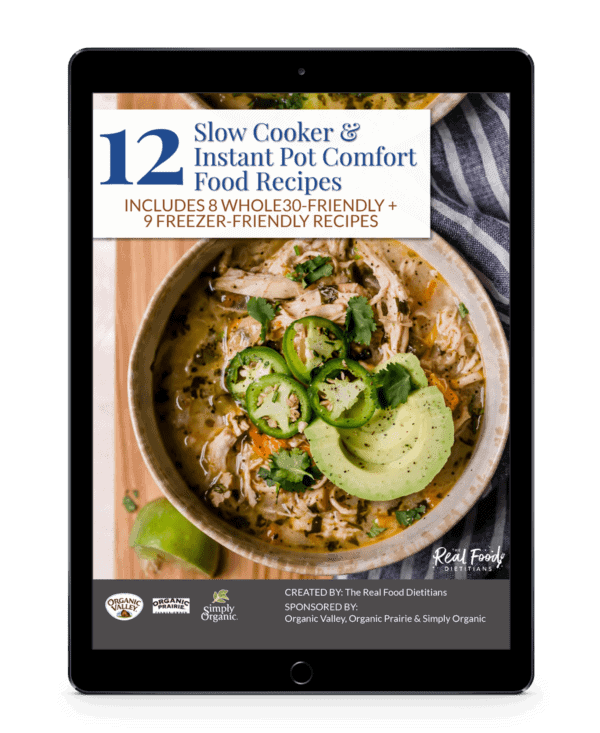 I’m gathering all my healthy holiday recipe ideas now so I can pick out what I’m making for all the gatherings I have this year. This is on the list! Can’t wait to try these! Do you think I could replace the almond flour with oat flour? We haven’t tried doing so but it will probably work. Oat flour is pretty easy to work with. 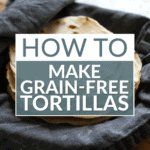 We’d love to hear how they turn out if you do use oat flour. Hi Heather! That’s great! Thanks for letting us know. I actually have some oat flour on hand so when I make them next, I will use that. I made these today for National Cookie Day and they were awesome! Awesome! Happy National Cookie Day! !